Why don't we enjoy Kitsuki ? 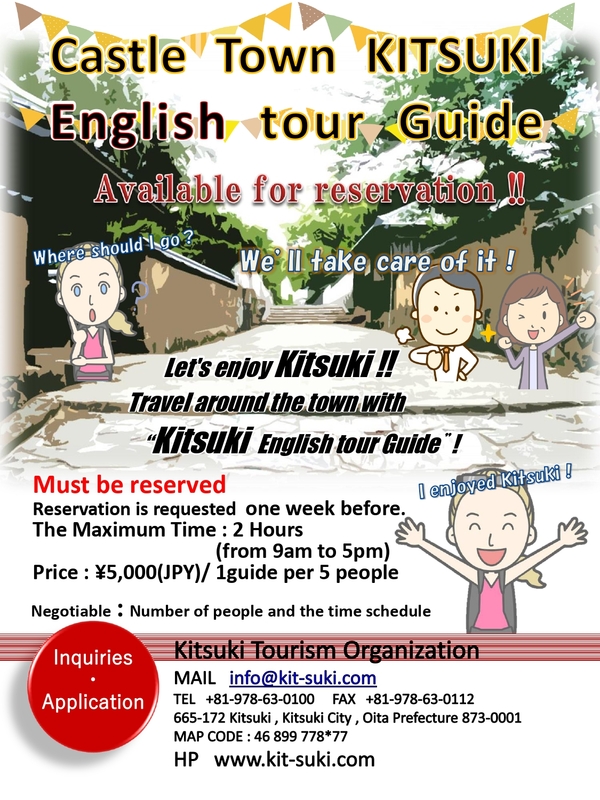 Travel around the town with “Kitsuki licensed guide interpreter”! Reservation is requested 1 week before.